On November 13th the U.S. Centers for Disease Control and Prevention (CDC) released new data showing that 1 in every 45 children in America has autism. “The estimated ASD prevalence was 2.24% (1 in 45) in 2014, while averaging 1.25% (1 in 80) from 2011 through 2013—a significant increase,” the CDC’s National Center for Health Statistics (NCHS) report explains. These new NCHS numbers are based on surveys of over 12,000 parents. A different CDC effort, based on data collected from school and medical records, known as the Autism and Developmental Disabilities Monitoring Network (ADDM), has reported a lower rate of 1 in 68 children. Scientists, medical professionals, educators, autism families and advocacy organizations like SafeMinds have been arguing for many years that the official CDC ADDM statistic of 1 in 68 children is an underestimate. Many believe that the NCHS 1 in 45 number is more accurate. Notably, the 1 in 45 statistic is the rate reported for the ADDM ‘s New Jersey site, and New Jersey, along with California, is one of two states that has kept the most careful records and used the most consistent reporting methods for a long time. Researchers believe that the big jump in autism reported in the NCHS survey—from its prior 1 in 80 for 2011-2013 to 1 in 45 in the latest survey—may be partially due to changes in how parents were asked about their children’s disabilities. The prior 2011-2013 NCHS survey data of 1 in 80 may have been an underestimate of autism because of the way the questions were asked, causing confusion to the parents answering the survey. The questionnaire was modified to address this concern for the latest survey year. Despite this glitch, a comparison of autism rates over the longer term among the NCHS survey and two other widely tracked data sets shows the same upward surge in prevalence. 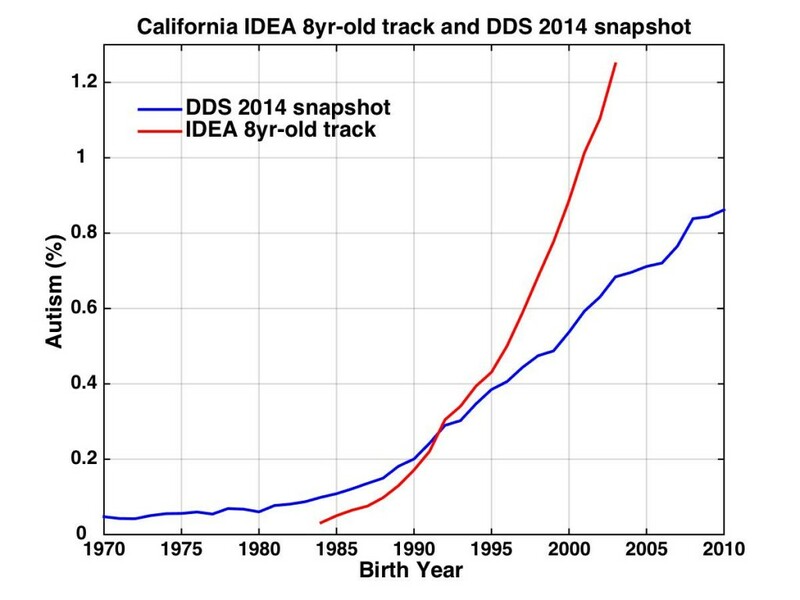 Except for the NCHS period from 2011-2013, when the questions were considered to be confusing, the NCHS survey, the US Department of Education’s IDEA system, and the California Department of Developmental Disabilities Services (CDDS) system all show that over the past two decades, autism numbers have been rising at an unprecedented rate. Comparison of Autism Prevalence Trends from 3 Data Sets showing consistent upward trend across time. Is the increase in autism real? 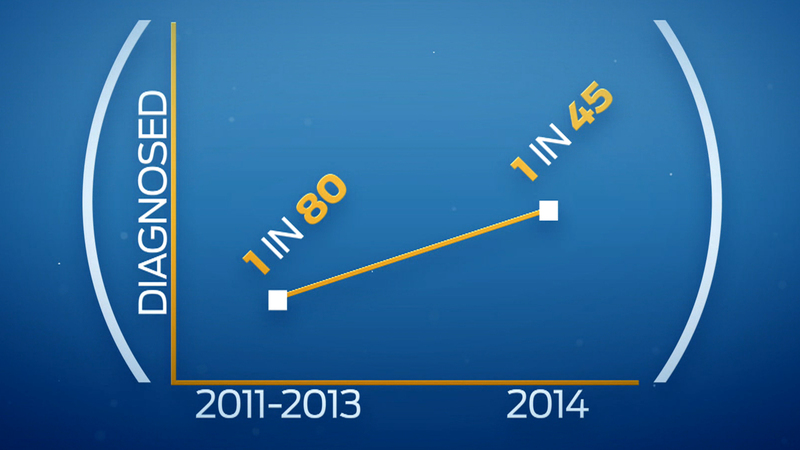 The mainstream media continues to downplay the rise in autism. The latest news stories on the NCHS survey explain away the 1 in 45 as a methodology change. They focus on the temporary glitch in the questions, without bothering to note the troublesome long-term trend. When stories came out last year about the CDC’s ADDM 1 in 68, which itself reflected an increase from 1 in 88 just a few years prior, the increase was ascribed to better awareness and changes in diagnostic practices. Yet many scientists who pay attention to the details of autism epidemiology argue that much of the increase cannot be explained by such factors. A careful UC Davis MIND Institute study could attribute only a small amount of the increase in autism to migration patterns or diagnostic practices, attributing the bulk to environmental causes. The ADDM New Jersey scientists have stated that their latest 1 in 45 statistic, a doubling in New Jersey autism prevalence in over a decade, is a true increase and not an artifact of changes in methodology, migration patterns, diagnostic practices, or various other explanations officials have routinely proffered. Parents, special education teachers, and school administrators across the country have all noticed a significant rise in children with autism and other pervasive developmental delays. 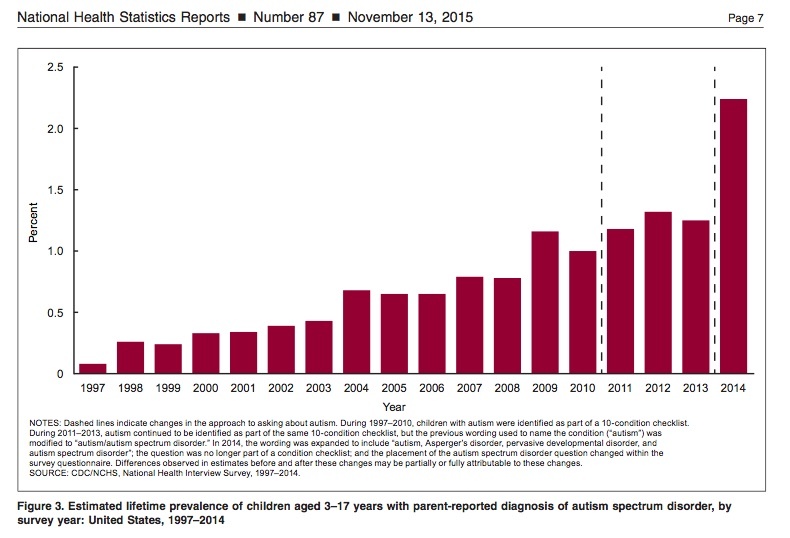 What is the cost of the autism tsunami? When the 1 in 45 number was issued, major autism organizations like Autism Speaks and the Autism Society pointed out the pressing need for services and supports to help those living on the autism spectrum. Yes, we need these and we must have them. This week SafeMinds called on the Federal government’s Interagency Autism Coordinating Committee (IACC) to convene a workgroup on Family & Caregiver Support. Early diagnosis and intervention can change the trajectory of autism in many children, improving chances of a more independent life. High quality supports can enable those with autism to integrate fully into the fabric of their communities, a basic civil right. As urgent and necessary as it is to help those with autism and to support their families, it is equally imperative that we identify the environmental triggers for autism. As the UC Davis MIND Institute researchers point out in their seminal cost of disease paper , a concerted policy focusing on prevention through identifying environmental causes can be a game-changer in reversing the tsunami of autism. The burden of ASD is significant for 2015 but alarming for 2025 and, in our opinion, invites debate about policy responses. The first response is that research into the possible modifiable causes of ASD should become a priority as great as other major diseases; prevention is cheaper than cure or than improving the functioning of persons with ASD. If modifiable causes can be found, for example, a toxin, then another policy response would be to eliminate or reduce the amount of that toxin in the environment. A third response is a call for additional research into cost-effective treatments to improve functioning. Like the MIND Institute, SafeMinds calls on independent scientists, the Federal IACC and specifically its members the CDC and the National Institutes of Health, to make understanding the environmental factors contributing to autism a priority of the highest concern. We must find out the modifiable causes in order to prevent future cases. And it’s not just about autism. America’s children are experiencing a host of health problems as compared to children in other industrialized countries. 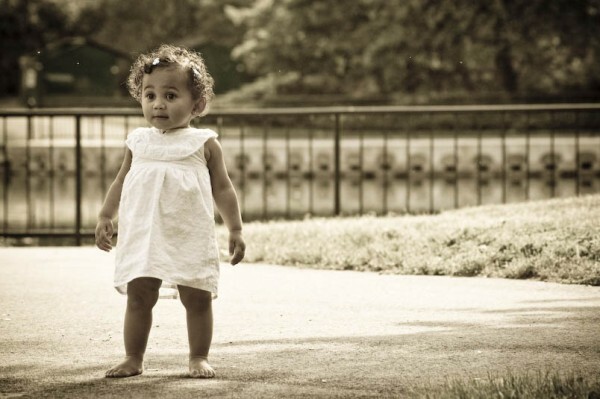 American childhood obesity, juvenile cancer, and juvenile diabetes rates are all too high. More than 1 child in 6 has a learning disability; 1 child in 9 has asthma; and 1 in 25 has a severe food allergy. Those with autism are at an especially high risk of developing serious co-occurring medical conditions like gastrointestinal, immune, metabolic and mental health problems. I’m hearing about more and more doctors with large pediatric practices who are counseling soon-to-be and new parents about alternative, healthy lifestyle changes and who are working collaboratively with them about minimizing possible harms to their children from healthcare interventions. These doctors are reporting significantly lower autism rates among the children of these patients than the national averages of 1-2% that the CDC reports. We need to learn from these doctors. 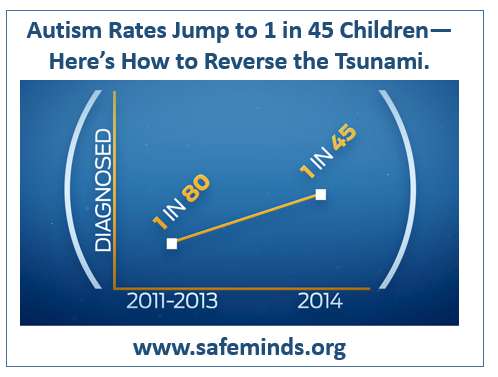 Are there methods available right now that can reverse the autism tsunami? 1) Birth vaginally when possible: vaginal birth confers lifelong health benefits and inoculates your newborn with beneficial bacteria. 2) Breastfeed: human breast milk is loaded with protective antibodies and nutrients and hundreds of studies show that breastfeeding is the best choice for your baby’s health and long-term well-being. 3) Eat real food: Children and adults thrive when we eat fresh whole foods that are recognizable as foods, not granola bars, vitamin-enhanced water, or artificially-sweetened low-fat whipped topping. A car cannot run on the wrong kind of gas. Neither can the human body. 4) Avoid antibiotics: Antibiotics disrupt the beneficial bacteria that live in and on our bodies. 5) Avoid mercury: Children with autism are often found to have high levels of mercury in their bodies, and detoxifying them from heavy metal poisoning often leads to a lessening of their symptoms. Mercury is still used as a preservative in the multi-dose flu vaccine and high levels of mercury in some fish can be harmful to pregnant women and small children. 6) Don’t give your baby acetaminophen: This Duke University Medical School professor explains why. 7) Make sure your family is getting enough vitamin D: Vitamin D is crucial for a healthy immune system and best absorbed through sunlight on the skin, but most American children are deficient in vitamin D, which is thought to be a contributing factor to poor immunological health. 8) Be pro probiotics: A healthy immune system relies on beneficial bacteria to fight off diseases. Take probiotics, eat fermented foods, and eliminate sugar to foster the growth of beneficial bacteria in your child’s body. 9) De-stress: Stress and anxiety cause inflammation in the body, which can contribute to immune dysfunction. Find ways to relax (yoga, meditation, exercise) and teach them to your children as well. 10) Do your homework on vaccination: The current American vaccine schedule, which is the most aggressive in the world, may be altering your child’s immune system. If you do only one vaccine at a time and your child has a negative reaction, you will know which vaccines to avoid in the future. If you have a family history of autism or auto-immune disorders, the risks of vaccinating may increase. Find a doctor who will work with you on a vaccine schedule that fits your situation. In this age of personalized medicine, we know that one size does not fit all.